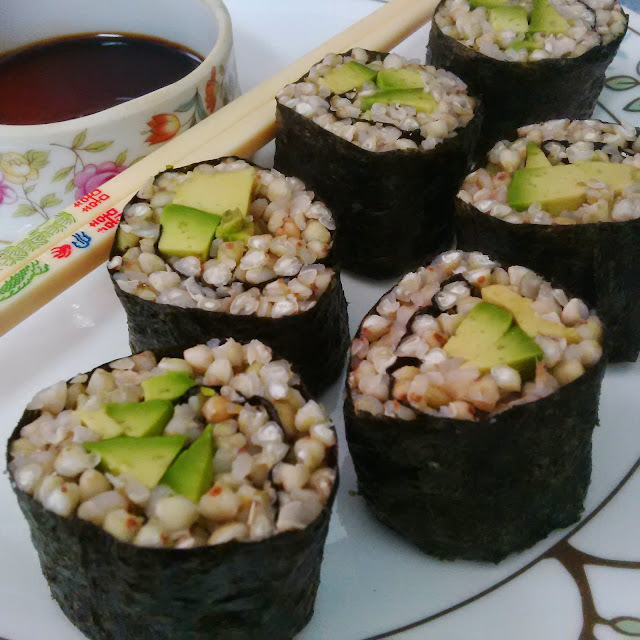 I was craving sushi today, but I wanted something different, so I decided to make my sushi roll with buckwheat instead of rice! It turned out so brilliantly that I had to share the recipe with you. 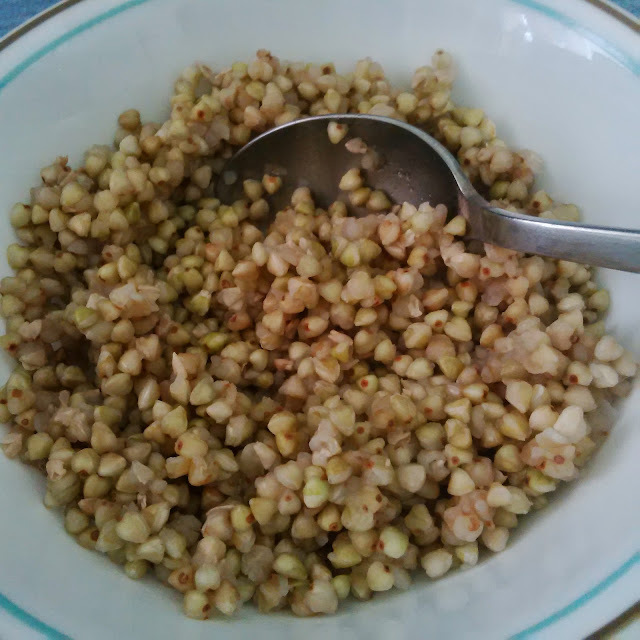 The buckwheat adds a mild but complex nutty taste that when all of the flavors combine will knock your socks off! 1. Rinse and boil buckwheat until tender, drain. 2. 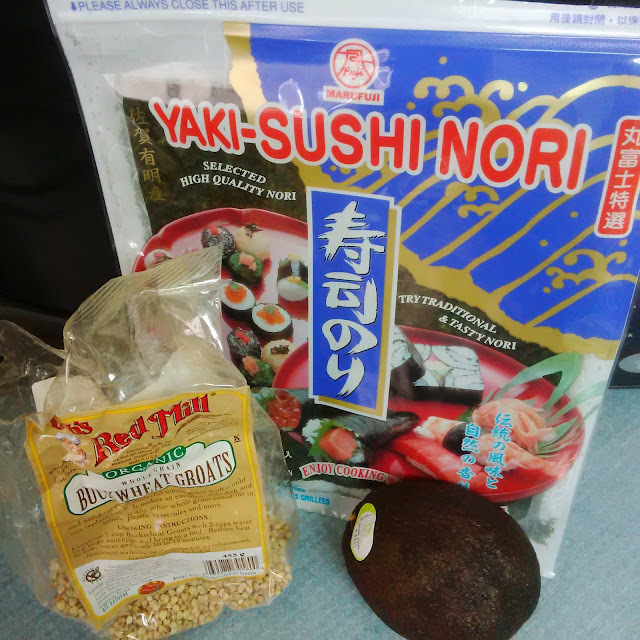 Mix vinegar and cane sugar into the rice, then let rice cool (cooling the rice is important as it makes the rice sticky and prevents the nori from tearing from the heat. 3. 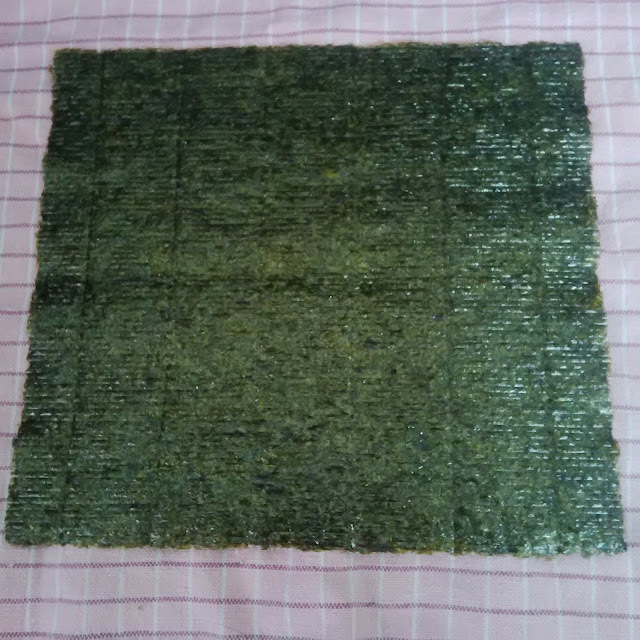 Place nori shiny side down on a folded tea towel. 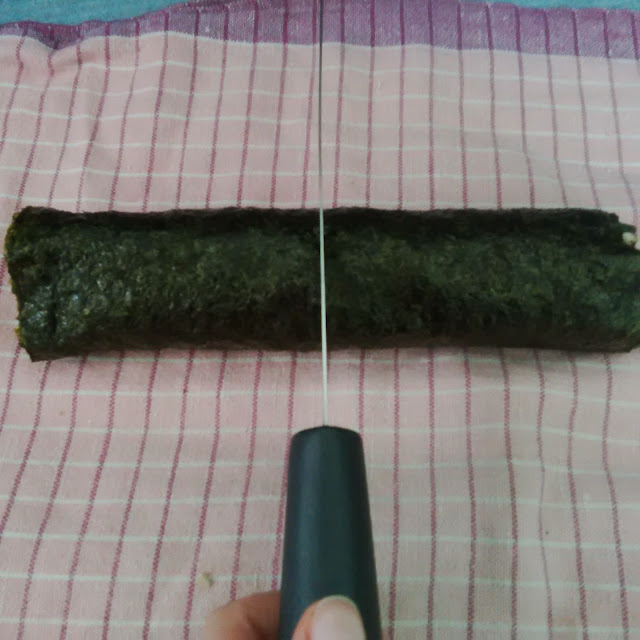 If you can't tell which side is the shiny side from looking, just run your fingers along the nori, one side will feel rougher and one will feel smoother. The smoother side is the shiny side. 4. 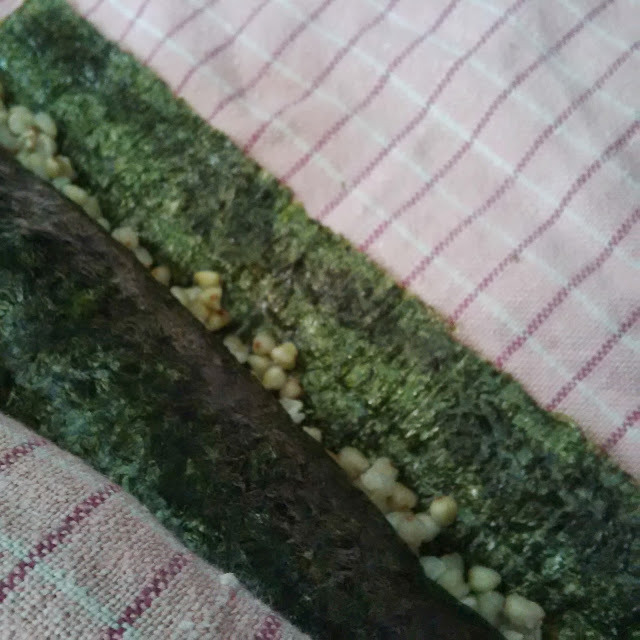 Once the buckwheat has cooled spread it evenly over the rough side of the nori, leaving a 1/2 inch border at the top. 5. 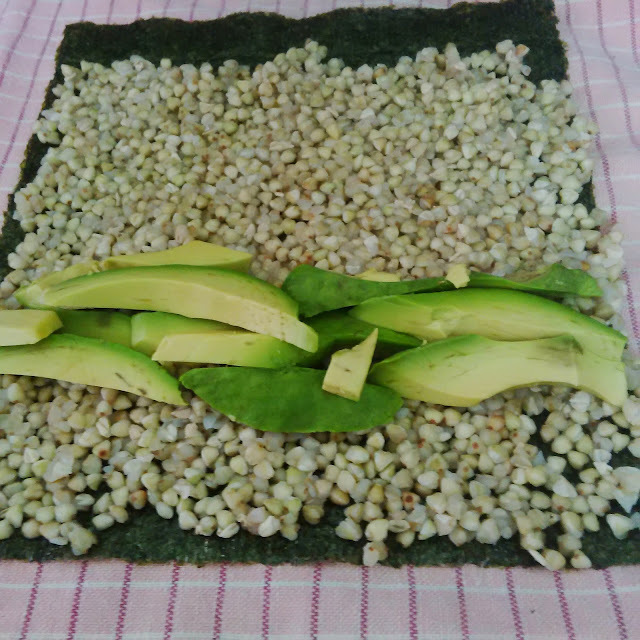 Slice your avocado and arrange as the picture below shows. 6. 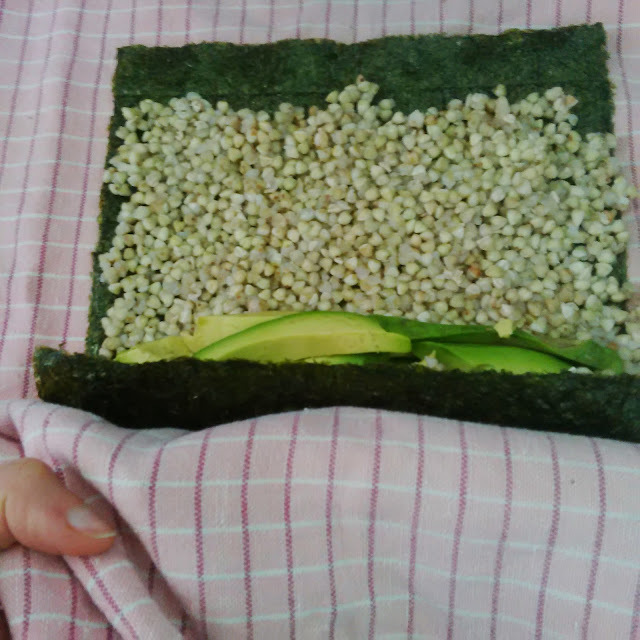 Using your tea towel, gently start rolling the sushi. 7. Continue rolling firmly, but gently. 8. 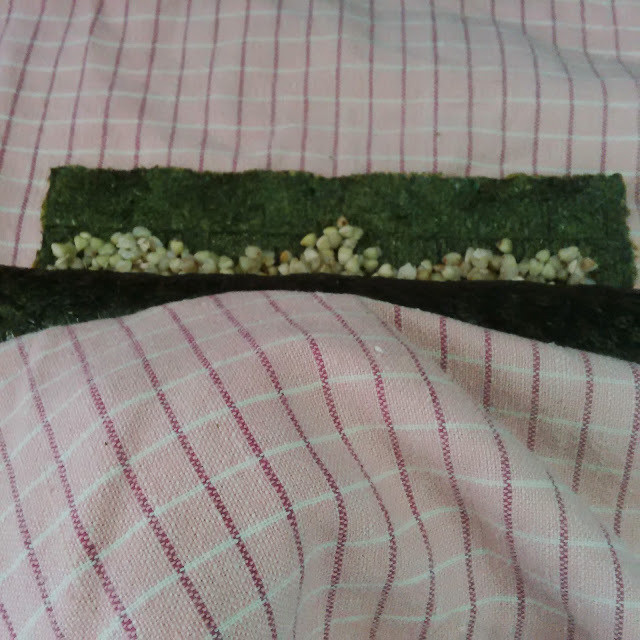 When you reach the end, take some water and wet the bare sushi edge (I liken this to sealing an envelope). Don't use too much water, just enough to seal the sushi. 9. Finish rolling. 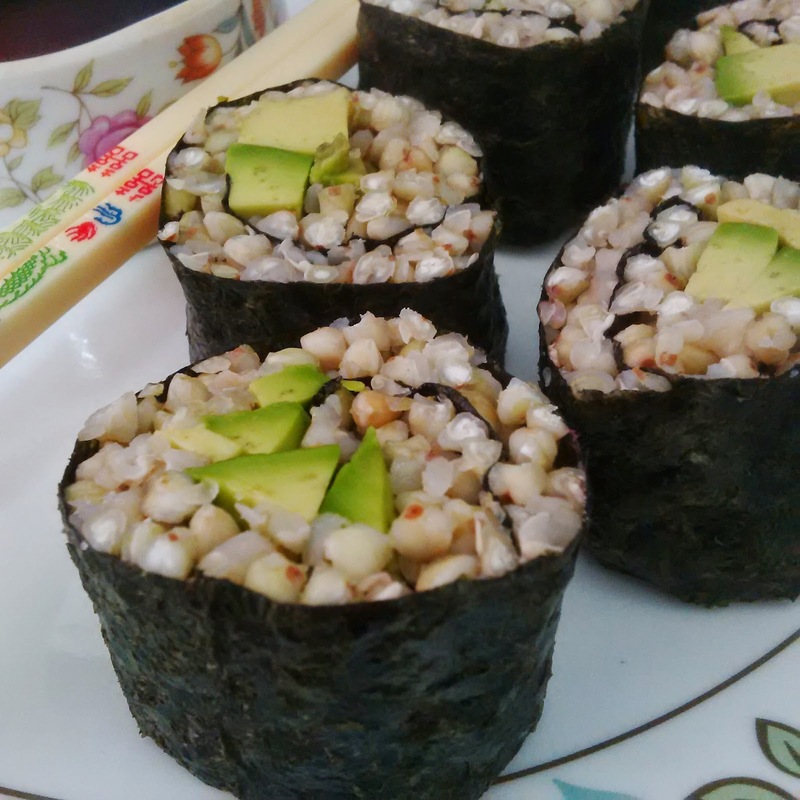 With both hands gently roll and squeeze (gently) the sushi roll to make sure everything inside is nice and compacted. 11. 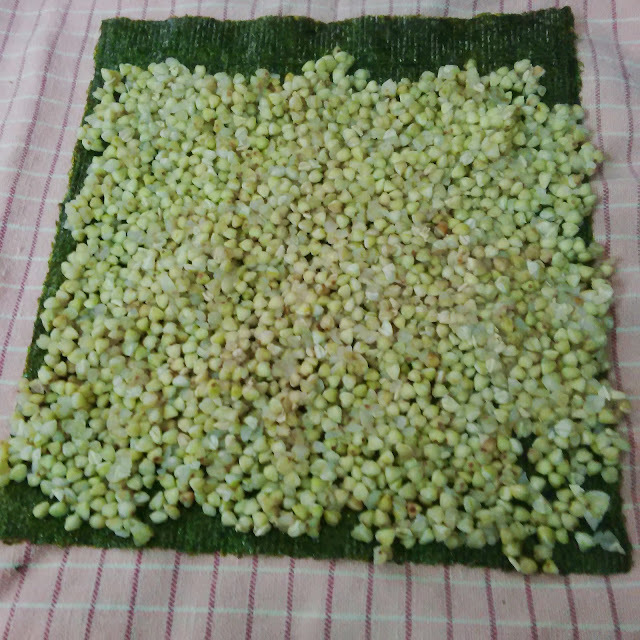 Arrange on a plate and serve with soy sauce or tamari. Itadadakimasu (Expressed before meals in Japan, meaning "I humbly receive.") I learned this expression from a friend of mine many years ago, who at the time was teaching English in Japan! I have never forgotten it!